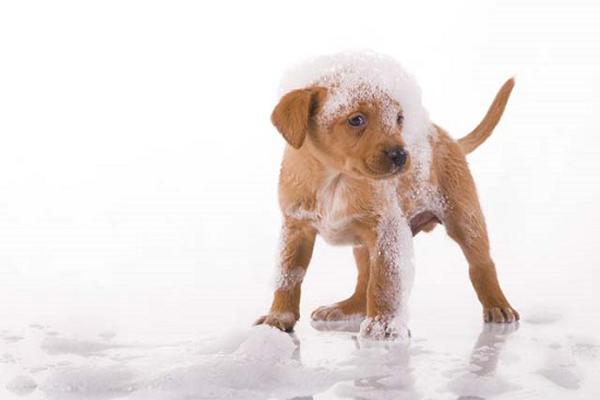 You surely know the many ways you can benefit from Epsom salt, but did you know that Epson salt detox bath can also benefit your dog in many ways. From skin discomfort and open wounds to allergies, Epsom salt can bring relief to your best friend’s problems. Epsom salt is ideal for treating your dog’s wounds. It not only cleans, but can also draw out infection. Before you make your dog Epsom salt detox bath, with a clean cloth immersed in a mixture (2 cups water and 1tsp Epsom salt) gently clean the wound area first. Does your best friend often suffer from dry, itchy and/or inflamed paws? If yes, make an Epson salt detox bath. Most commonly, itchy and inflamed paws occur due to outside factors (environment), but stress and allergies can also cause these problems. Sure sign your dog may have paw problem is excessive licking. The best thing is to prepare an Epsom salt bath and have your dog soak feet for about 10 minutes (not less than 5 minutes). Repeat this until symptoms disappear completely. Dry skin, as it can be upsetting for you, it can also be very uncomfortable for your dog as well. An Epson salt detox bath is a natural and safe way to relieve skin inflammation and itchiness. First check the irritated area to identify the cause as itchy skin can be caused by injury and fleas. If the problem is dry or inflamed skin, make an Epson salt detox bath to relieve the symptoms. Splinters are very painful (for your dog, of course) and can be very tough to remove. What’s worse, splinters, if not completely removed, can cause a serious infection. To make splinter removal less stressful for both you and your dog, prepare an Epson salt detox bath. Soak the affected area for about 15 minutes as this will loosen splinters and prevent any possible infection. As you can see, Epson salt can help you eliminate many of your dog’s discomforts. In a way this natural product can potentially eliminate veterinarian expenses. Of course, you must handle it with care. Never let you dog drink water with Epson salt in it as this can disrupt digestion system. Epson salt, being magnesium sulfate, has a laxative effects and is often used to relieve constipation. Thus, keep Epsom salt away from your dog. Also, never ever use Epson salt to relieve your dog’s constipation problems as this can increase the levels of magnesium in blood and lead to serious problems. If not sure how and if it’s safe to use Epsom salt, contact your veterinarian. He/She will be able to inform you if your dog’s particular problem can benefit from this natural product.